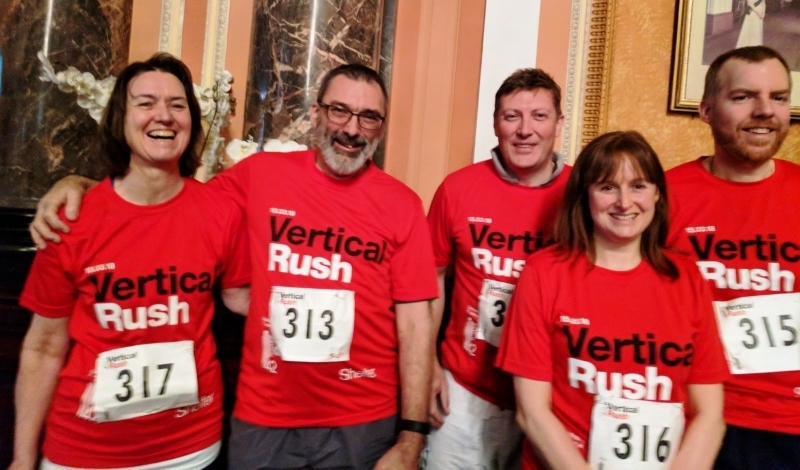 On Thursday 15 March a team of five from the Mark Masons’ Hall staff took on the challenge of the Vertical Rush, in aid of Shelter the homeless persons charity. A mere 932 steps stood between them and the summit of Tower 42 (formerly the NatWest Tower, on London’s Old Broad Street). The team would like to say a big thank you to everyone who supported them in their endeavour. The generosity of the members enabled them to raise over £1,500. 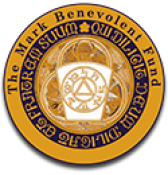 This goes towards the enormous event total, which currently stands at over £300,000.00. Chris Griggs, Assistant Manager, Masonic Support Services, led the charge with a time of 9 minutes 54 seconds and the whole team were enjoying the view of a fog-bound London from the 42nd floor in under 13 minutes. Well done to Shelter, the organising team and the army of volunteers who put together this fantastic event.